venture debt leader Point Financial celebrates their 25th anniversary! 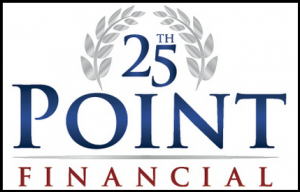 You are here: Home › › We are pleased to announce Point Financial’s 25th year in business! Point Financial is proud to announce that today, January 11th, 2013 marks our 25th anniversary. We’d like to take this time to thank all our investor and clients for their continued support and belief in PFI’s vision that has helped to make the last quarter century such a huge success! As we continue to strive for excellence servicing our clients needs for venture debt, under the leadership of President & Founder, Michael J. O’Malley and his vision for the future, we believe the best years are still to come.